As with so many segments of the economy, the golf industry is clearly treading water, with all too many of its members floundering and some going down. A recent piece in USA Today noted that Myrtle Beach has lost 25 of its 125 courses since 2006, while at least eight courses near Phoenix have gone through foreclosure or bankruptcy in the past two years. Last year, about 140 of the nation’s 16,000 courses closed. Many private clubs have lost up to 15 percent of their members and with cash-flow problems epidemic, a growing number are opening to public play. But aside from offering online tee times and discount fees, the golf course industry appears almost paralyzed, unable to deal with issues that are downright existential. 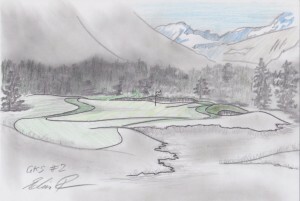 This sketch is for one of the greens to be built at an Edwin Roald-designed course in Siglufjördur, Iceland; while the exact number is not yet determined, it may have more than 9 holes and definitely less than 18. “A couple of years ago we started talking to clients about ‘maximizing your factory,” says Harvey Silverman, a consultant with the Pellucid Corp., a research firm that generates proprietary statistics for the golf business. “We know from surveys that time and money are the top two barriers to people playing more golf, so we encouraged clients to offer alternative nine-hole experiences that increased incremental business.” Although a Pellucid client in Colorado has had more than 4000 9-hole rounds this year, against none in 2009, few seem inclined to follow. The thing is, most golfers want to play more than nine holes. And yet, those same golfers absolutely despise the five and six hour rounds that are all too common on all too many 18-hole public tracks. Silverman doubts that it’s possible for the industry to offer anything different and suggests that alternatives “Are set against the harsh reality of an industry where tradition prevails, with an infrastructure that is not amenable to adjustment, even in the face of terrible losses.” But there may indeed be another way. Edwin Roald, a thoughtful and talented course architect and journalist from Iceland, has developed a well-considered and compelling argument for a non-traditional golf course, with somewhere between 12 and 15 holes, in Why 18 Holes? It’s not an entirely new idea, for the notion has roots in the game’s history. And given several converging trends in the golf industry and society at large, it’s a concept whose time might well have arrived. 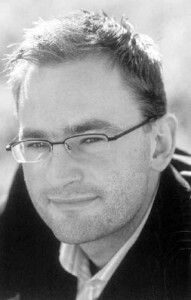 Icelandic Course Architect and Journalist Edwin Roald. Roald looks at the game with the eye of an artist and the mind of a writer, which accounts for his dual career. He believes that anything between 12 and 16 holes should be just fine, especially if the land is well suited for the purpose. Because golf has concluded on a standardized format of 9 and 18 holes, great world-class sites go unused. Meanwhile, most courses have at least a couple holes with terrain that forced architectural compromises, bad design and simply aren’t that much fun to play. Look to 18 at Cypress Point for the case in point. At a time when environmental restrictions are adding public pressure and expense to course operators, a shorter course would require less fertilizer, herbicides and water. But in the spectrum of benefits from a truncated layout, time is by far the most operative word. It may be that Scots simply walk faster than Americans. They also don’t dally endlessly over shots, plumb-bob three-foot putts and search the gorse for a wayward ball. Scotts typically finish an 18-hole round in three hours. For all of the so-called “exceptionalism” Americans think we’re endowed with, our current Golf Nation is incapable of such speed. Roald talks of creating courses that can be played in little more than three hours, which he considers fulfilling and yet not too long. I think 2:45 would be about right, which is coincidentally the length of an average Major League Baseball game. Given the American pace of play and assuming we can’t be retrained, that timing argues for 12 holes, a number that might have that Goldilocks “just right” quality. The Old Course at St. Andrews originally had only 12 holes for a century and then 22, ten of which were played twice, once out the way out and again on the way back towards town. The 11th and 22nd holes were only used once during each round. In 1764, The Royal and Ancient Golf Club of the town reduced the number to eighteen, which became a standard after the R&A defeated The Honorable Company of Edinburgh Golfers at Musselburgh in a power struggle. Musselburgh had seven holes, which could easily have become golf’s standard had the club prevailed. In any event, the R&A eliminated the four holes at St. Andrews “for the improvement of the links.” Simply put, it was a better fit for the available land and the sport. Standardization still didn’t develop for more than a century. After all, most early golf courses were not purposely constructed but found, as holes went between small flat areas that served as greens. The first Open Championship in Great Britain, for example, was held in 1860, on a 12-hole course in Prestwick. Since then, golfers and its ruling bodies at the R&A and the United States Golf Association had held firm on the 18 and 9-hole tradition. Until now, few have suggested a break from that past, although there is a fairly new 12-hole, par 3 course on California’s Central Coast, called The Challenge Course at Monarch Dunes. Still, the reluctance to experiment with anything different on a full-length course is baffling, given the nature of western societies. We eagerly embrace new technologies from iPads to oversized drivers, exotic foods, different forms of transportation and all manners of daily living. So why doesn’t golf change? Economics remain an important consideration. In 2007, a group called Prestwick 12 Golf formed, with a blueprint for constructing three, six-hole loops that would be the centerpiece of a residential development. While the idea, drawings and materials supporting the prospect were powerful, it clearly wasn’t the best time to launch a new business. “I had a great deal of interest in the concept from a few developers, but given the times no one has committed yet,” e-mails Prestwick 12 President Terry LaGree. 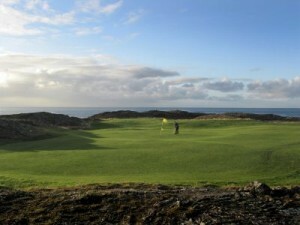 At the Keilir Golf Club in Iceland, shown above, the 12th near the clubhouse is where players often choose to halt play. The golf course industry isn’t entirely bereft of innovation. Next May, in Hocking Hills, Ohio, the Glenlaurel Inn & Cottages operation will open a new golf course on its estate. Designed by world-renowned architect Dr. Michael Hurdzan, and his son Dr. Chris Hurdzan, the links-style Scottish course will consist of 8 holes cut into the meadowlands of the rolling hills around the Inn, and feature sand surface greens common in the early 1900s. (Sand greens need no water, fertilizer or non-human energy sources for maintenance, which is fitting given the Hurdzan reputation for environmental stewardship.) The prime reasoning for building only 8 holes at The Scottish Links at Glenlaurel? Only 8 would fit on the available land. But in Edwin Roald’s imagination, there’s money to be made from subtraction rather than reconfiguration. In converting an 18-hole course to one with fewer holes, he argues that an operator could eliminate holes that occupy land of lesser quality than the rest of the layout, which also are often the weakest to play and most expensive to maintain. While the success of this would depend on a course’s routing, I can easily think of a half-dozen courses that could seamlessly close six holes and not really miss them, and others that could lose three or four and not sacrifice a single yard of quality. The reduction would immediately reduce maintenance costs, which could enable operators to lower fees and still be profitable. While the real estate business is not that swell right now, land most always has a value at some point in time, so call the abandoned fairways an investment in the bank. The shortened playing time means more tee times and golfers, if the course is properly promoted. So with that part of the argument out of the way, what will the game’s ruling bodies say? The USGA isn’t always perceived as the most nimble and flexible of organizations. It wasn’t that long ago when the USGA first allowed golfers to post a 9-hole score for handicapping purposes. To me, numbers are numbers, par is par and slope and course ratings are merely numeric artifices, not totems of infallible worship. No matter how many holes are used, I believe it’s possible for a given set to be subjected to algorithms that would make a 12-hole score appropriately comparable to others from 9 or 18 holes. Roald believes that if there are any hidden intricacies to figuring this out, changes are a mere formality, since the handicap system is designed to suit the good of the game, not the other way around. So maybe golf does have an option for making the game faster, less expensive, faster, lighter on the environment and most of all, faster. A trigger for the change will likely require a pioneering operator who is either enlightened, fiscally desperate, at wits end, or all three. But for the good of the game and its participants, a delightful dozen might just describe golf’s best alternative future. Jay- a very nice piece on a change to help golf. Anything that is growing the game of golf is a good thing! We at boxgroove know how difficult it is to change an industry especially the private golf course industry. Change in golf moves at a glacial pace most of the time. Mr.Silverman’s comment are dead on! Especially this quote: “Silverman doubts that it’s possible for the industry to offer anything different and suggests that alternatives “Are set against the harsh reality of an industry where tradition prevails, with an infrastructure that is not amenable to adjustment, even in the face of terrible losses.” There is hope that the industry is now changing as this new economy will be here for awhile. I think many in the golf business are finally realizing that it does nobody any good to “drown” but say you kept your chin up! They won’t remember that at your funeral. They remember you died because you failed to adapt. Build a great product and have tremendous perseverance and your idea will prevail! Explains exactly what I feel golf needs.I play a nine hole course where the layout allows you to play the first four holes and then start back on one through nine for a total of 13 holes.I use the first four as a warmup and the play the nine for score.It’s just the right amount of golf and it only takes about 2 hours total if I am playing with a full group(4) and if I go it alone usually about an hour and 15 minutes. 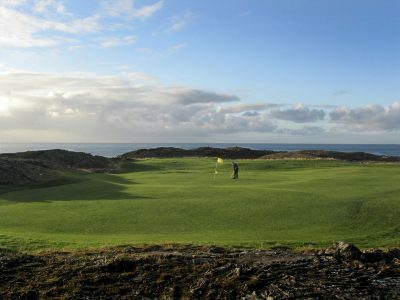 I think all golf courses could easily and afford-ably implement shorter rounds by just changing the scorecard so it has three 6 hole divisions so people can decide how much they want to play.Although,like you stated, many would do better to invest and remove 6 holes for a better layout with maybe more par 4’s and 5’s. Most 18 hole golf courses are just too long,expensive and time consuming. Love the idea. 12 is the right number though as existing course could easily convert to 3 six’s. Also why are there no par 4 only golf courses. We have par 3 and executive but no strictly par 4. Just think par would be 48. Then we could start talking about sub 40 rounds. Let’s face it a par 5 is really a par 4 for pros. Is any pro happy to make a 5. Par 3 are good for iron players. It would be interesting to see what would happen on a par 4 only course. That way ever hole you would have to hit two good shots instead on only one. I got off topic there but shorter rounds are good for everyone.